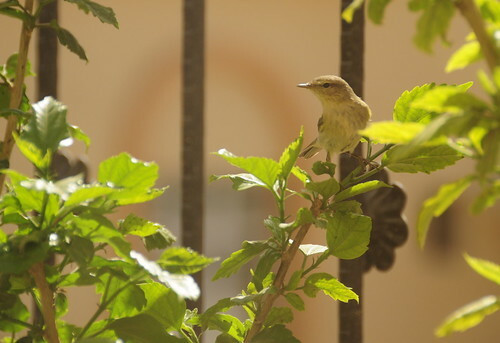 I knew this bird, from the Warbler family, would return because of the abundance of Aphids on our balcony plants. My policy is to remove affected branches – but of course I miss few. 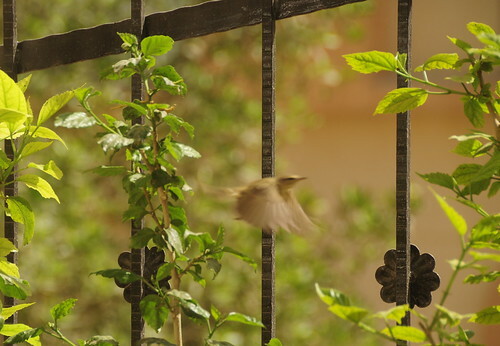 This little angel flies in, now and then, and has a feast. 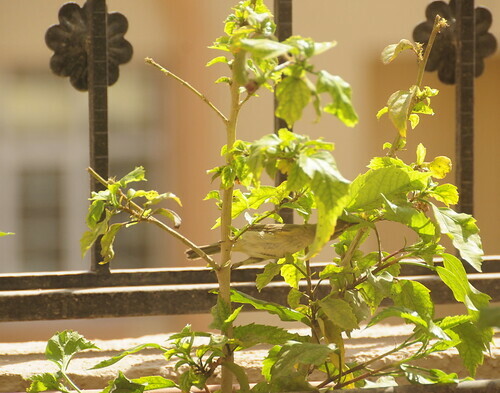 It’s such a tiny bird and so light, it doesn’t even shake the branches when it perches. It spends an hour or so flying between the plants – eating away. I could watch it all day. Awesome pictures! The flying one is really cool! hibiscus-brings up fond memories of hometown. its a very common plant over there, and there are so many varieties and colours of it, the red being the most common. the pistil-stamen part is so lovely. do you have the red one? I love these cute little birds! They are tiny! There are so many – but for some reason the red ones always flourish and grow better. I’ve given up on the others. I have one pink one in a pot. The roots should be ok. Cut (massacre) them to a single short stem. Spring time should take care of the rest. It may work? omg! lovely pic. well done you!